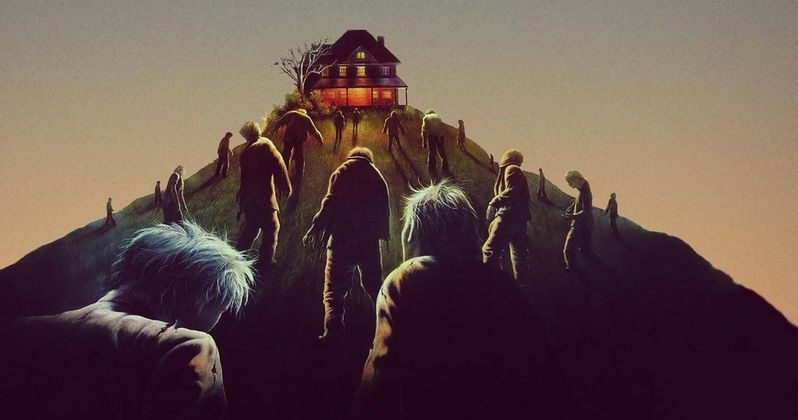 Fifty years after the late George A. Romero changed the face of horror movies forever with his original zombie classic, Night of the Living Dead Part II is happening. Living Dead Media, the company entrusted with handling Romero's classic, have announced that they intend to release an official sequel, with some of the original creators involved. Billed as Night of the Living Dead Part II, the follow-up is expected to arrive in 2019. For the time being, the company is being somewhat quite in regards to the details, but it's a massive development for horror lovers. The original 1968 classic birthed cinema's fascination with zombies and is one of those titles that transcends the genre and has earned its place on the list of all time great movies. Here's what Living Dead Media had to say about Night of the Living Dead 2 in a statement. "That history and Night of the Living Dead's place on the Mt. Rushmore of horror films is known by most horror fans and people all over the world. But, unknown to most is that in the 1970's, the original writers and producers of Night of the Living Dead penned a sequel to their masterpiece. A sequel that inexplicably has gone unproduced for over forty years - until now. Living Dead Media has brushed away the dirt from this amazing follow up to a classic and brought together a great team to produce the new film." George A. Romero's wife, Suzanne Desrocher-Romero, had previously revealed that her late husband left behind 40 or more scripts that hadn't been produced. It's unclear at the present time if this is one of the scripts she was referring to. In any case, it's certainly remarkable for horror fans to hear that such a script even exists. Let alone that it's finally going to be turned into a movie. Living Dead Media also had this to say in their statement, speaking to the original's enduring legacy. "Night of the Living Dead first brought zombies to the silver screen in 1968. The world was unprepared for the film's flesh starved ghouls, which resulted in a groundbreaking and commercial success. It remains one of the most influential and revered horror films of all time and now sits in the Library of Congress and the Museum of Modern Art for its cultural significance. Written by John A. Russo and directed by George A. Romero, Night of the Living Dead created the foundation for the five Return of the Living Dead films that gave us Tarman and his famous catch phrase 'More Brains! ', popularizing brain eating zombies and defining the modern dark comedy-horror genre in the process. Romero's Trilogy of the Dead series also owes its roots to the classic. In addition, Night of the Living Dead is not only credited with spawning a generation of zombie films, but all modern horror films." Night of the Living Dead did spawn a series of other Dead movies, starting with Dawn of the Dead. However, it sounds like this is going to be much more of a direct follow-up, as opposed to something that just happens to be taking place in the same universe. For now, plot details are being kept under wraps. We'll be sure to keep you posted as more details on the project are made available. This was previously reported by Bloody Disgusting.